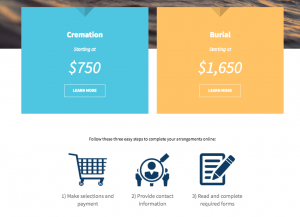 The population now expects to be able to search for specifics, pricing, reviews, ask questions, view images and to buy when they are online for all products and services – this expectation doesn’t go away when it comes to funerals. Websites are more than static billboards for obituaries – they create an opportunity for engagement online, conveys brand-quality and builds relationships with the public – before anyone walks in the door. 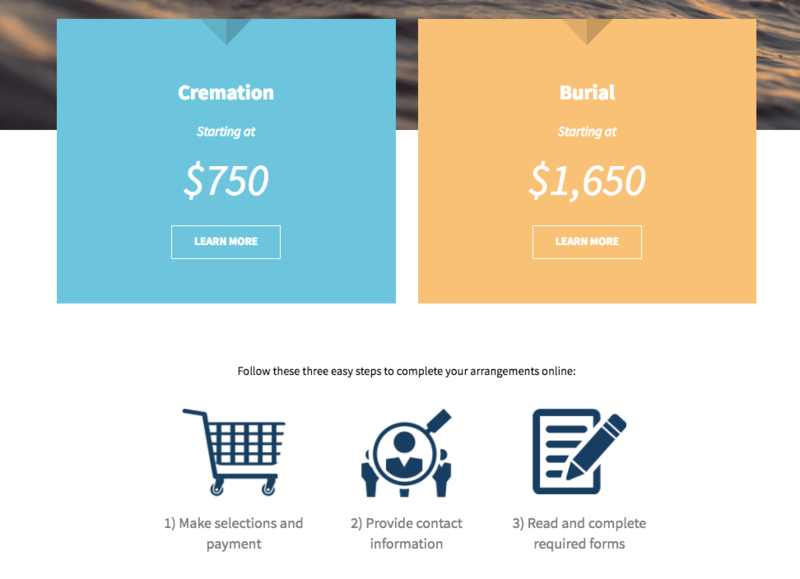 When our clients are transparent with their offerings, pricing, and payment options the community feels more trust in that Funeral Home. A major factor includes people’s fear of high-pressure sales environments. This perceived fear, whether true or false in reality, can sway them to choose one death care firm over the other — simply because one posts their prices or facilitates online communication and the other does not. The old adage by J.P. Morgan “If you have to ask how much it costs, you can’t afford it” can motivate people to choose the safer option, the firm with pricing listed or online shopping features so they don’t get themselves in a situation. Optional e-signature technology can legally, and conveniently streamline all purchases and logistics. The community can build and adjust packages, options and compare pricing from the comfort of their home for pre-need and at-need services. Enables families to prepare for their future, and when the time comes they will have already mentally selected the firm that allowed them visibility into pricing and options. 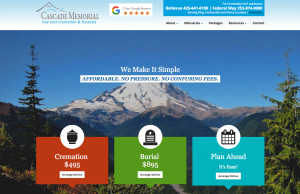 Makes death care firms’ marketing efforts more effective, as they can digitally attract people to their website and take action by planning and purchasing. Creates transparency for the death-care firm that can translate into community trust. Eases fear of high-pressure sales environments. When done well, online arrangers and websites continue the tradition of high-touch, quality in-person service, now enabled online too. Creates opportunity to connect with younger generations that prefer to have their questions answered and packages built prior to speaking with someone.